This study offers a new interpretation of 1 Corinthians 5-11:1. Taking a social identity approach, Ho investigates the inner logic of Paul from the ears of the Corinthian correspondence. 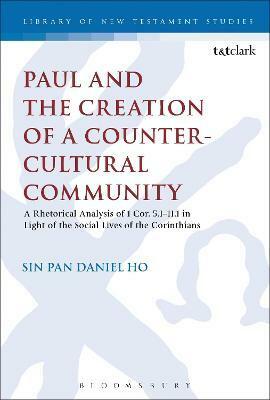 Ho argues that Paul consistently indoctrinates new values for the audience to uphold which are against the mainstream of social values in the surrounding society. It is shown that Paul does not engage in issues of internal schism per se, but rather in the question of the distinctive values insiders should uphold so as to be recognisable to outsiders. While church is neither a sectarian nor an accommodating community, it should maintain constant social contact with outsiders so as to bring the gospel of Christ to them. In addition, insiders should practice radical values that could challenge the existing shared social values prevalent in the urban city of Corinth. These new values are based mainly on Scripture, ancient Jewish literature and the new social identity of the church defined by Jesus Christ. This fresh interpretation renders the logical flow, unitary design and coherence of 1 Cor 5 -11.1 more apparent. Rev. Dr. Sin-pan Daniel Ho is Assistant professor of New Testament in Lutheran Theological Seminary, Hong Kong.